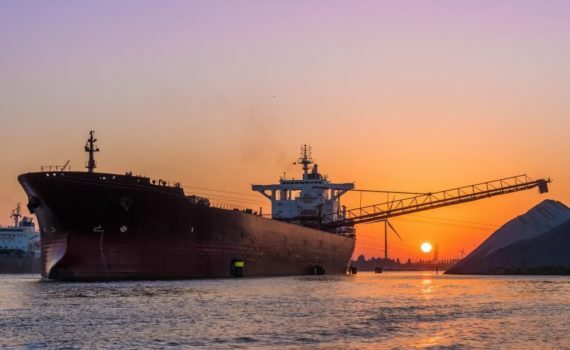 The current situation in the maritime industry means ship owners are constantly looking for ways to reduce costs—while increasing safety and reliability. A condition-based maintenance strategy could help. But how does it work? And how can ship owners implement it successfully? It can be easy to confuse condition-based maintenance (CBM) with condition monitoring (CM). But there is a key difference between the two. While CM is a technique for determining the condition of machinery in operation, CBM refers to the overall strategy that encompasses it.It differs from planned or preventative maintenance in that it is performed on an as-needed basis rather than according to a fixed schedule. CM solutions are vital to any CBM strategy. They work by using sensor devices to capture data on machinery and components: for example, accelerometers could measure the vibration of rotating components. Specialists then apply algorithms and their own knowledge to the data to analyze the equipment’s condition and identify any deterioration in performance. There are two approaches to this: the data can either be collected periodically or continuously. The periodic approach relies on monthly or quarterly checks using portable devices. While this can be more cost-effective than continuous monitoring, there is the potential risk of issues going undetected in the time between checks. Therefore, continuous, real-time monitoring is typically applied to machines such as thrusters and alternators that are critical to operations or where repairs can be costly and time-consuming. Although they require more effort to implement on board, online systems for continuous monitoring have many benefits. When used in tandem with CM software, they provide integrated expert knowledge and automatic alerts based on detailed specifications. Specialists can quickly identify any faults and track their development to keep the machine operating in a safe and reliable manner. This not only helps ship operators to considerably reduce costs and minimize downtime, but also enables them to plan maintenance more efficiently and ensure the availability of replacement parts. A CBM strategy can also extend inspection intervals. For example, a shipping company recently used the SKF thruster monitoring system on its thrusters to continuously monitor vibration and oil condition. By implementing a CM system, the company fulfilled the requirements of classification societies, extending the inspection interval from five years to seven and a half years. This saves an enormous amount of time and effort. As maritime companies continue to adopt practices from other industries, CBM is now starting to gain traction in shipping. But digitization also contributes to its surge in popularity. Many ship operators are moving more and more data to the cloud to facilitate the sharing of information. This allows onshore experts to perform analyses and send their findings and recommendations to engineers onboard the vessel and onshore technical support teams. Both trends look set to grow in the near future as shipping companies invest in ways to reduce total cost of ownership. By optimising ship safety, performance, and reliability, condition-based maintenance will certainly play a major role in the future of the sector. Cloud technology is revolutionising ship maintenance. Data can now be easily shared with more experts, both onshore and offshore, anywhere in the world. This helps them to make the right decisions at the right time and improve maintenance planning.